When Saturday Night Live premieres on September 28 (with Tina Fey as host), it will be a very different looking show than last season’s finale. No more Armisen, Sudekis or Hader and head writer Seth Myers is on his way out to take over Late Night. To fill the voids, NBC announced 6 new additions to the cast and there is some real potential in the group. Beck Bennett is the most recognizable new cast member. He’s the guy from those AT&T commercials talking to the young kids. His web series “Fresh Perspectives,” which got him the AT&T gig, has had some hilarious installments and I like his straight man approach. Bennett’s friend and performing partner from Good Neighbor, Kyle Mooney is also joining the cast, giving us another potential Lonely Island situation. People who are used to writing and performing together usually churn out solid sketches and I’m sure they’re thrilled to have the much larger forum. Mooney could be the breakout star. I didn’t know anything about him until watching a couple of YouTube clips, but I loved everything that I have watched so far. Please watch all 4:54 seconds of this sketch entitle “Toast.” You won’t regret it. 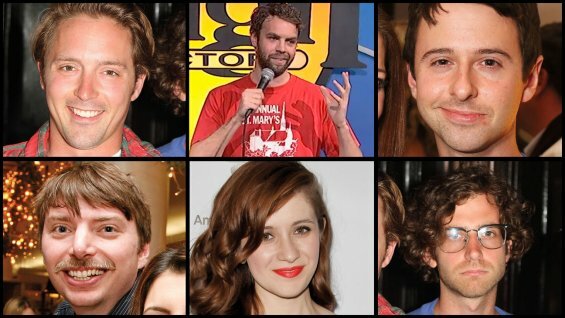 Other newcomers include Brooks Wheelan, John Milhiser, Noel Wells and former SNL writer Mike O’Brien and they all seem like worthy choices based on my quick googling of each. Wheelan is a stand-up comedian from LA and he has a great bit about In and Out Burger. Wells does a perfect Zoey Deschanel impression and Milhiser was involved in a very funny patty-cake themed parody of the Step Up dance movies. O’Brien has been around the show since ’08 and his 7 minutes in heaven YouTube show proves that he can handle saying words on camera as well as writing them. The only disappointing news out of these new hires is that cast member Tim Robinson has been demoted to writer. Robinson had very little to do on the show last season but according to Bill Hader and other cast members, he would have everyone on the floor during Wednesday’s table reads. Hader also predicted he would be a breakout star this season but it looks like that won’t be happening yet. He will still be obviously be writing and hopefully Robinson can work his way back into the cast. It’s an exciting time for SNL. There has always has a lot of turnover and it’s in these transition years that breakout stars emerge. I remember like it was yesterday when Samberg and Hader started and how quickly they made names for themselves. I’m sure people will complain that it’s not as good as it was because that’s what always happens but there’s lots of potential here and I’m excited to see what the newbies bring to Studio 8H.